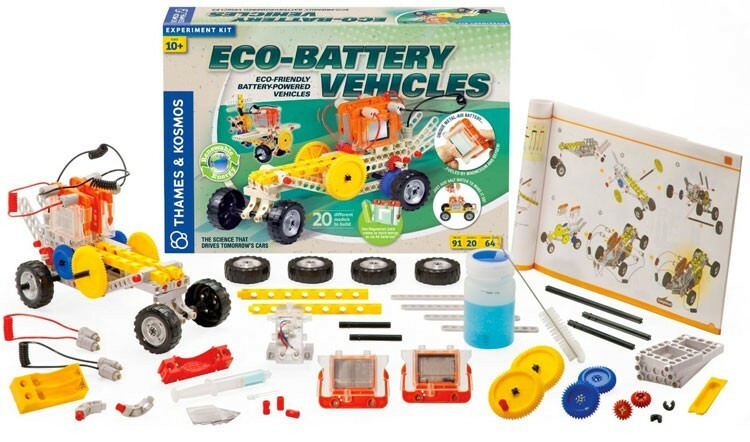 Experiment with battery-powered vehicles with this kit from Thames and Kosmos! It’s looking increasingly inevitable that electric vehicles (EV’s for short) will be the cars of the future. More specifically, battery electric vehicles (or BEV’s) — which are powered entirely by rechargeable chemical cells — are starting to become practical. 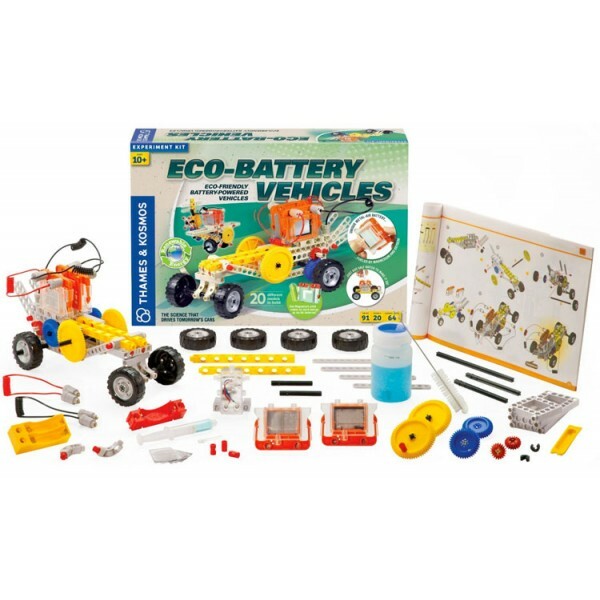 In this kit, you can build and experiment with a new type of “fuel cell” to learn about electrochemical cells and BEV’s. The battery is a metal-air electrochemical cell, a type of battery that is widely used in small scale devices. 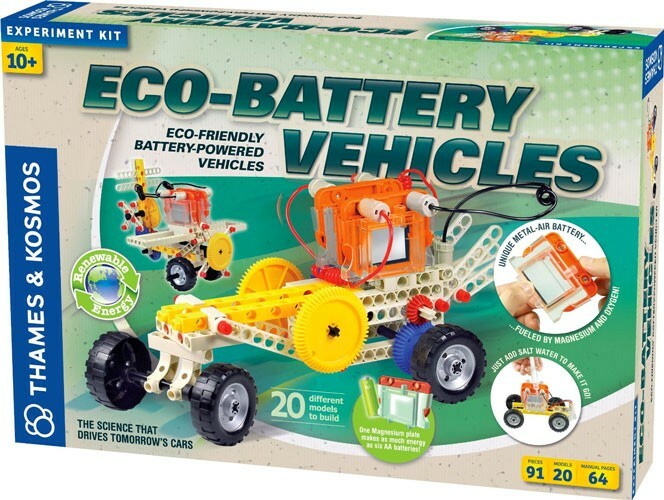 It is ideal for demonstrating battery technology because it does not use any harmful chemicals: it uses only magnesium plates, salt water, and the oxygen in the air to generate electricity. Build 20 different models, power them with this special battery, and run experiments to learn how to improve the battery's performance. 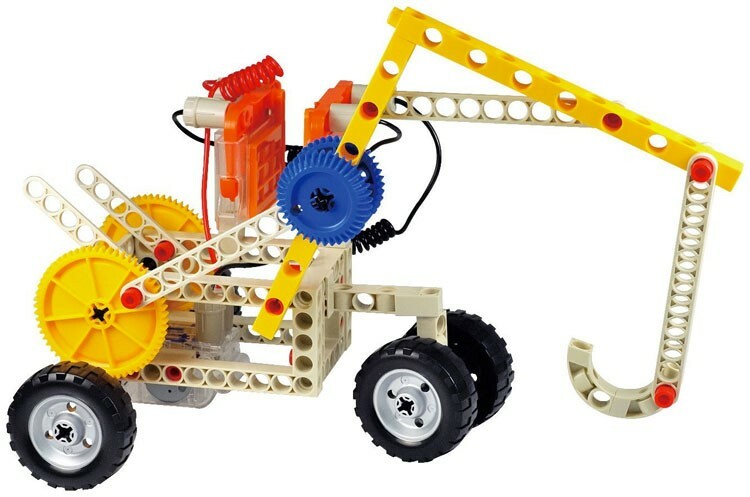 The set includes a full-color, 64-page experiment manual and 91 building pieces.